They say that being a mother is one of the most thankless jobs in the world. You work from sun up to sun down, making lunches and checking report cards. Washing and folding laundry and cleaning up after the unending messes can be a real chore! All of the household work plus a career is even harder, even with a great partner and helpful little ones! It’s no surprise that most moms look forward to the one day a year that they get to spend with their families…and get doted on–Mother’s Day. The tradition of Mother’s Day dates to the late 1800s and was actually used as both anti-war and pro-temperance movement demonstrations. In fact, Anna Jarvis actually held a “Mother’s Friendship Day” in 1868 to help reunite and heal families affected by the Civil War. These local days of the memorial featured prominent woman speakers but it wasn’t until Anna Jarvis’ death in 1905 that her daughter, also named Anna Jarvis was able to create a long-lasting and publicly recognized memorial to her mother that became the holiday that we know today. President Woodrow Wilson officially sanctioned Mother’s Day as a national holiday in 1914 and the rest, as we say, was history. Mothers come in all shapes and sizes; stepmothers, adopted mothers, multiple partner mothers, mother figures. Every woman that raised a child, even for a just a little bit, deserves to be pampered every now and then. It can be difficult to express yourself and show the appreciation for everything that your mother has done for you over the years, all the long days and even longer nights, and celebrating her on Mother’s Day is just a little way of giving back. Finding the perfect gift for your mom on Mother’s Day can be challenging. After all, your mother raised you and you want to find something that properly expresses how much you appreciate all of her hard work. This can be especially hard for some mothers as they often neglect their own preferences in favor of their children’s, making it difficult to know what she would like. As a young child, a handmade gift is always best but as you grow, there are many options available for you to choose from, sometimes so many that it can become overwhelming. We hope that one of our top 10 Best Mother’s Day Gift ideas can spark your imagination and give your mom the best day that she absolutely deserves! Whether it is the first word, step, or tooth of the baby, mom can write it all down exactly when it occurred in this wonderful journal. A perfect item for all new mothers to remember those special days of motherhood. It is a gorgeous, light lavender book with gold lettering on the front. It is engraved with the words “Mom’s One Line a Day” on the cover. She can track the changes of the infant, its daily progress, her feelings, and moments in her life at that time. This will provide a written record to give great memories. It is perfect for new moms because it is easy to jot down daily thoughts in it. Enough space is given to put down the details of a special event or a thought for that day. The Memory Book is a wonderful way to easily record the happenings of each day in the life of a new mother and child. Each spot has enough space for that one special thing that happened on that day. This is a Mother’s Day gift that will last forever. It is a priceless record of the first years of being a mom. What a treasure for your child when they are grown! For permanent gifts for Mother’s Day, this is one of the best sentimental things you can get for mom. It is a real rose that is preserved and strengthened to last forever. The handcrafted process is lengthy with over 65 stages to strengthen and preserve the petals with a coat of resin. The details of the flower remain visible, and the 24 gold-plated finish crystallizes the rose magnificently. Although red is the most popular color for this item, there is a huge selection of rose colors and several for the acrylic stands. This gift comes in a nice gift box with an included certificate card. Tell your mom that you really love her with this fabulous preserved rose with gold trim. When you give real roses, they fade and die after a few days. They must be thrown away. With this preserved rose, your mom never has to toss away her fabulous gift. A single preserved rose is a wonderful way to say “I Love You” to your mom! It is something that she can keep for many, many years to look at and treasure the special day she received it. Handmade with all-natural ingredients, these bath bombs will make an unforgettable gift for mom on her special day. These contain gluten-free, non-GMO shea and cocoa butter, sea salt, sunflower oil, and other essential oils for the best feeling in the tub. These ingredients promote natural healing in all that they do. Shea butter is used to moisturize dry and itchy skin, blemishes and wrinkles with vitamin A. these are free of dyes and artificial colors, so no residues will remain in the tub afterward. The huge bath bombs of almost three inches in diameter come in a great assortment of gorgeous colors and fragrances. They will turn a regular bath into a healthy, wonderful soak to relieve pains and aches, moisturize skin and ease discomfort of tired muscles. With twelve bath bombs in this set, mom can enjoy her Mother’s Day gift for much longer than one day. Whenever she needs to relax and unwind from a hard, stressful day, mom will have you to thank for this charming gift. Not only do you get twelve wonderful bath bombs with this item for mom, but it also comes with twelve candles that are heart-shaped. She can relax like a queen in the tub with the soothing natural bath and the calming candles nearby. Support the local, fine artisan roasters of Seattle, Washington with this purchase for Mother’s Day. It brings the experience of gourmet coffee to your home. If mom loves coffee, then this is the present for her. Sixteen gourmet signature coffees are included of some of Seattle’s top roasted blends. The freshness is guaranteed of these coffees by the roasters. Included are some of the best single-origin coffees from world-famous roasters, such as Zoka, Ladro, Vita, Lighthouse, Herkimer, and Seattle Coffee Works. This package contains whole bean coffees, brewing tips, roaster profiles, and tasting notes. This item is packaged well for gift purposes, so it will be a fantastic present for Mother’s Day. Each type of coffee is individually wrapped with proper labels. A personalized note can also be added. For the mom that loves coffee, this is an ideal gift for Mother’s Day. She will get to experience real Seattle top-roasted blends right at home. With sixteen different coffees, your gift will last for many days of pleasure. Give mom a gorgeous gemstone and charm necklace for Mother’s Day, and she will be so thrilled. This is a magnetic locket with a finish of embedded crystals around the edge. It comes with seven floating charms and a complete set of twelve birthstone crystal charms. A special message is engraved in the middle of the necklace piece for mom and/or grandma to touch her heart. An elegant jewelry box is included and also a money back guarantee if you are not fully satisfied. The charms consist of a gold grandma heart charm, gold mom heart charm, crystal pink and silver heart charm, LOVE gold charm, rose gold charm, rose silver charm, and infinity crystal and silver charm. Let her make her own necklace with this wonderful product for the special day. Included with this necklace is a keepsake jewelry box for all of the extra gemstones and charms, plus the necklace itself. It has a black velvet backing to cushion the pieces and show off the necklace beautifully. Customize your own locket with the charms you like and the gemstones that are fitting. This gift is extra special because it is suited for the wearer perfectly. A mug for mom for Mother’s Day is a wonderful idea! It is a gift that will last for years and it is functional. This mug is safe for the microwave and dishwasher, and it has an easy-to-grip handle. It is perfect for cold or hot liquids or foods and can be used in the home or office setting. The cute message is printed on both sides, so no matter which way it faces, mom can see her special message from you. It is well-made with strong ceramic construction in a solid white color. Mom will keep this gift for a long time and remember the special someone who gave it to her on Mother’s Day. For a versatile gift for mom on her special day, this is a fabulous present. It can be used for cold or hot liquids or even some foods, plus she can take it to work or just use it at home. This is a daily reminder to mom how great she is and how much you appreciate her. It is a gift that will last for years of practical use. If there is one thing that no mom can have too many of, it's a good quality tumbler! Let's face it, we love coffee. And possibly wine. Whatever gives you that sweet momentary break from the rigors and stresses of motherhood, we won’t judge! With the CHILLOUT LIFE Stainless Steel Stemless Wine Tumbler, you are gifting not only a beautiful conversation piece but a functional way for your mom to indulge herself a little. These gorgeous tumblers are made of high-quality stainless steel and are available in several matte and holographic colors and finishes. It utilizes a double-wall vacuum-insulated seal to provide hours of temperature control for her favorite beverages. Ice can survive in this tumbler for over nine hours, guaranteeing that she will have a soothing drink the whole way through her next work day or PTA meeting. Not only will this keep mom’s beverage cold or hot for hours at a time but it is virtually indestructible. Constructed using high-quality 204 18/8 food-grade stainless steel, this tumbler is shatterproof, unbreakable, and easy to clean. It can be fully machine-washed, including the lid, and has also been treated to reduce fading and chipping. That same treatment provides an anti-slip grip to keep this glass where it belongs, right in your momma’s hands! This gorgeous tumbler would make a perfect gift for Mother’s Day, especially paired with a bottle of her favorite wine or a box of her favorite coffee! With the word ”Mom” written in script on the front of the pendant and the word “love” on the back, this is a wonderful way to let mom know how much you care for her. Show your appreciation for all that she does with this charming blue gemstone pendant. It has a four-leaf clover above the stone for luck that is an adorable touch. It is filled with crystals that are only from the Swarovski. These crystals catch the light stunningly as the pendant is turned from side to side. It makes a great conversation piece because everyone will be commenting on how gorgeous it is on mom. The pendant comes with a lovely jewelry box that is great for giving the gift, so there is no need for wrapping it. This is a unique gift that she will treasure for years. This necklace is safe for the wearer because it is made of hypoallergenic, lead-free, and nickel-free white gold. Mom can wear it with confidence that she won’t have any reactions from the metals. The blue gemstone in this necklace is breathtaking! It is of the most gorgeous deep blue color that will go well with most anything mom will wear on those special occasions. The Mother’s Day message on this charming cutting board is printed only on one side, so it can be used as a regular chopping board on the other side. When not in use, hang it up so everyone can see how much mom is loved in your home. It is engraved with a poem in the shape of a heart that reads, “So much of me is made from what I learned from you, you’ll always be with me like a handprint on my heart – I Love You.” Use it to chop or slice fruits and vegetables in the kitchen or for serving cheese, fruit, and appetizers to guests. This board must be hand washed to preserve the quality of it and then rubbed with food-grade mineral oil to keep it looking great for years of use. Not only is the message on this cutting board beautiful, but it is in the shape of a heart to make it extra special. Mom will appreciate the thoughtfulness of this gift when she gets it as her Mother’s Day gift from you. Messages of love for mom can come on unique items to give to her like this cutting board that is both meaningful and useful in the kitchen. When mom has it all, try this cutting board for a distinctive present. Wish mom that first Mother’s Day in style with this little bodysuit for baby. It will be as though the baby is personally telling mom “Thanks” on her great day. It comes in a variety of colors and sizes, so the baby can get the perfect fit. This bodysuit makes a fabulous surprise for the new mom because it is so unique. Moms of boys or girls will love this item because it is easy to put on and take off. The shoulders are overlapping and expandable, plus the three-snap closure in the crotch is great for smooth, easy changes. The simple message on the front and the lovely colors make this a fabulous present that first moms will keep forever. Not only is this a great way to celebrate mom, but it is a comfortable, cute little bodysuit for the baby too. 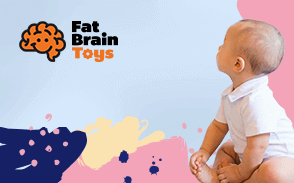 It is made of preshrunk, premium cotton and comes in different sizes to fit most babies. This is a fabulous way to celebrate mom’s first Mother’s Day with the family! She will cherish this onesie forever because it will remind her of her first real Mother’s Day with her baby. Each item on this list has been rated with highly positive comments and ratings and is one of the most-purchased items of this category. We take great pride in choosing the best products for your review, so you can buy the best products on the market. These are from reputable makers of high-quality items that make their products with pride. Most of these items can be kept by mom for many years either as a keepsake or for use. Products such as the cutting board, the necklaces, and the coffee mug should last for many, many years of enjoyment and memories. Others, such as the gourmet coffee sampler and the bath bombs, will disappear with use because they are not unlimited items. They will provide mom with much pleasure though. We made sure that these items would be chosen by kids if they were doing the buying. We think they would appeal not only to the children but also be a gift that mom would want to receive. Except for the infant bodysuit, all of these products are perfect Mother’s Day presents that kids would pick out just for mom themselves. They are all in good taste and would be welcomed by moms from all walks of life and backgrounds. Moms have their favorite things, just like anybody else, so some of these products may appeal to some moms more than others. For instance, if your mom loves coffee, then the coffee mug or the gourmet coffee sampler would be a perfect gift for her. Some moms love jewelry and wear it often, so the necklaces would be a great choice for these moms. The cutting board would make a fabulous choice for mothers who like to cook. Each gift will be special to that particular mom who loves that certain type of item. Choose the gift item that best suits your mom’s unique personality. Q: Which gifts listed would be okay for step-moms and foster parent moms, as well as real moms? A: Any of the listed gifts would be perfect for all sorts of moms and grandmas. They are all very generic and not specific for any type of mother. Foster mothers as well would love any of these gifts. Q: Which gifts are not breakable? A: Non-breakable items are the memory book, cutting board, and the infant bodysuit. If breakable items are an issue, then even the bath bomb set and the gourmet coffee sampler could be destroyed by little hands. Q: Which items can the family share in? A: Shareable gifts that others in the family can enjoy are the gourmet coffee sampler, bath bomb set, coffee mug, and the cutting board. The jewelry pieces could be worn by others but they suit mom the best. Q: Do any of the gifts specifically have “Mom” written on them? A: Yes, the ones that have the wording of “Mom” on them are the memory book, mom necklace, coffee mug, love heart necklace, cutting board, and the infant bodysuit. The other items do not have any writing on them specific to mom. Q: Are any of the gifts age-specific, or can they be for any age of mom? A: The only item that is age-specific is the infant bodysuit, but that concerns the age of the child. As far as the age of the mother, any of these items would be great for all ages of moms and grandmas. Q: Which gifts are something she can really use throughout the year or at least for a little while? A: Gifts that will last a while and be useful are all of the items except the preserved gold rose. It does not have any other purpose but to just look fabulous on the dresser, nightstand, or jewelry counter. Q: Which items are great for her dresser, nightstand, or jewelry table? A: The best items for these spots are the necklaces, memory book, and the gold rose. Q: Can any of the items be personalized with either her name or a personal message? A: No, none of these products offer personalization on the items. The gourmet coffee sampler and the bath bomb set do come with cards that you can write a special message for the recipient, though.